If you were to head down to Yering Farm in Australia’s beautiful Yarra Valley, you’d be greeted to the rustic and rugged estate by the sound of ducks splashing and quacking, and by rabbits scurrying around your feet - it’s the kind of winery which seems to have grown organically out of its surroundings, all tumbledown wood buildings, and muddy, earthy paths leading out to the vineyards. You’d probably also bump into the owners, who’re constantly out tending their vines or picking apples (Yering Farm produces a mean apple cider alongside their amazing range of wines), and before long you’d be invited into the cellar door for a tasting. Yering Farm, like many other producers in the Yarra Valley, had an absolute cracker of a year in 2017. The vintage was a belter, with many delicious, balanced wines full of character. Red fruit to the fore, with plenty more to discover underneath. Rich dark cherry and blackcurrant aromas, backed up by a subtle fruit sweetness and plenty of spice. The oak plays a part here, guiding the silky soft tannins and adding layers of cinnamon and pepper to the finish. All in all, a super elegant Yarra Pinot, with plenty of charm and layers to discover. 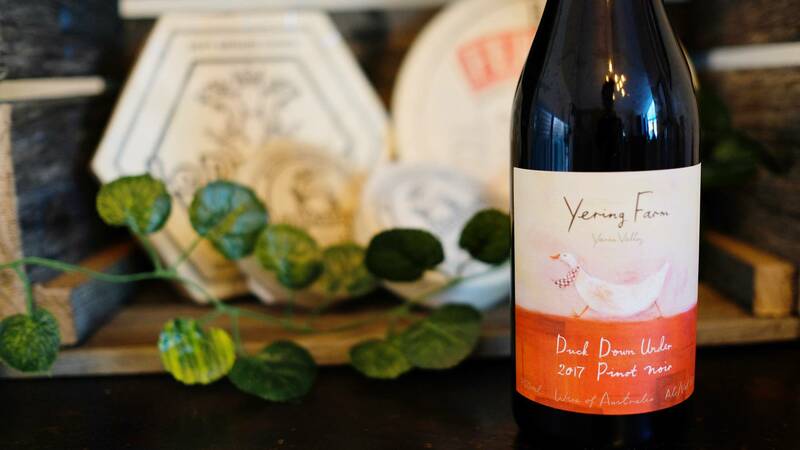 Yering Farm, like many other producers in the Yarra Valley, had an absolute cracker of a year in 2017. The vintage was a belter, with many delicious, balanced wines full of character. 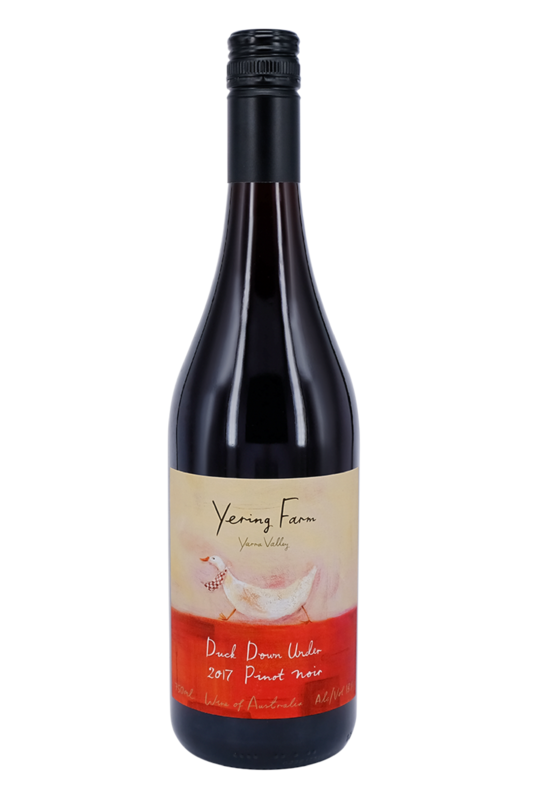 This juicy Pinot Noir from the beautiful Yering Farm is a real food-friendly bottle! It’s the kind of wine we’d love to drink with pretty much anything hearty and warming - proper home-cooked treats you’d look forward to at the end of a long day. Roast birds like chicken and duck, filling pasta dishes, and roasted salmon or trout with vegetables are all going to be awesome matches. However, you could pretty much pair up this wine with anything from Hungarian goulash to confit duck, porcini risotto to Vietnamese pork, and you’d quickly discover that it all works pretty damn well!